COLOMBO, Aug. 9 (Xinhua) -- Sri Lanka's ruling party United People's Freedom Alliance (UPFA) has recorded a significant victory in the provincial and local elections held Saturday. In the final official results declared here Sunday, in the central hill area's Uva Province, Sri Lankan President Mahinda Rajapakse's party has recorded a landslide victory by bagging 25 seats in the 34 seat council, while the main opposition United National Party scored seven seats. In the minority Tamil dominated Municipal Council of Jaffna and Urban Council of Vavuniya, the ruling party and their allies have made significant gains. The UPFA and allies won control of the Jaffna city by winning 13 of the 23 seats on offer. 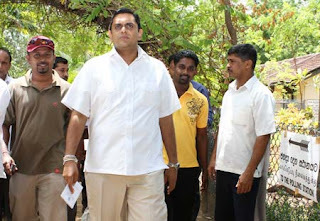 Their main rival, the Tamil National Alliance (TNA) has finished with eight seats.. The election was the first in Jaffna since 1998. Jaffna, the cultural capital of the minority Tamils, came under government control in 1995 after being controlled by the rebels for many years.